Battle Dragons is the game where you build a Fortress and Command a Dragon Army! Battle hundreds of thousands of other players worldwide in this Battle & Build game from critically acclaimed & Google Play “Top Developer” Spacetime Games. Battle Dragons is one of the best combat strategy or best real time strategy games you’ll play! Build a Dragon Fortress with over 43 different buildings – they’re (virtually) real, and they’re spectacular. Raise an army from 10 different types of booty-kickin’ Dragon units that will pillage and plunder as you command. You can upgrade them all too. You’ll never get a chance to tell a Dragon what to do in real life! Want to start a Dragon Tribe with friends? Good, you should. You can help each other by speeding up upgrades and boosting production of Gold and Sheep (yes, we said Sheep). Get awesome Dragon stuff faster. Join with Facebook friends to help each other do all that speedup and boost stuff we just mentioned – ‘cuz that’s so much more valuable than looking at photos of what they had for lunch or their kitty cats doing adorable things. 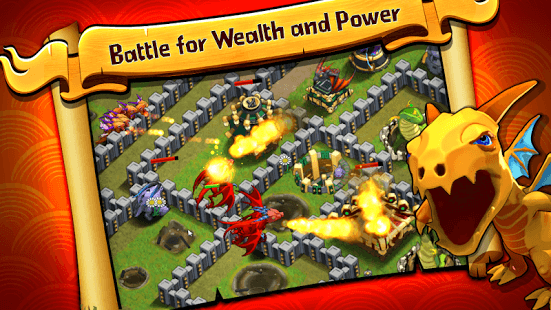 Your Dragon tribe gets to fight against other Dragon tribes in a leathery winged battle for supremacy. That’s a Constitutional right, by the way, not a privilege. That’s true – you can look it up. Optimized for all the latest displays on all these fancy space age devices we all carry around now. If they’re going to go through the trouble of making these things, we might as well take advantage of it, right? Pixels are a terrible thing to waste. Plus it’s no fun to squint – unless you are doing some kind of Clint Eastwood impression. 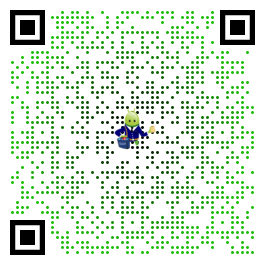 Takes full advantage of Integrated Google Play game services! Oh, and did we mention your Dragons eat sheep? You just can’t put a dollar value on that kind of entertainment. But that really doesn’t matter since the game is free anyway. Still reading? Install it already – we hope you enjoy Battle Dragons! I enjoy this game very much. I would really like to see an edit button be put in. So you can redo your village more efficiently. Also the amount of pearls it takes to boost I think is to high, specially if you’re trying to save up for another builder.